After 90 days of pure fun and entertainment, the third season of MTN Project Fame came to a glorious end on Sunday September 26 when the petite bombshell Chidinma became the first female to win the competition since its introduction in 2008. The night started off as any other performance night but with a little bit more of excitement and anticipation in the air. The final contestants (Kesse, Ochuko, Eyo, Tolu, Chidinma and Yetunde) started the proceedings when they got on stage and performed their group song aptly titled I’m A Winner. After their performance came the hosts, Ben and Adora who officially kicked off the finale. After a mesmerizing dance routine by a group of dancers, the final six came up the stage the last time to perform songs that they composed. First of the bill was Ochuko who sang Get Up, followed by Kesse who performed Chidinma. 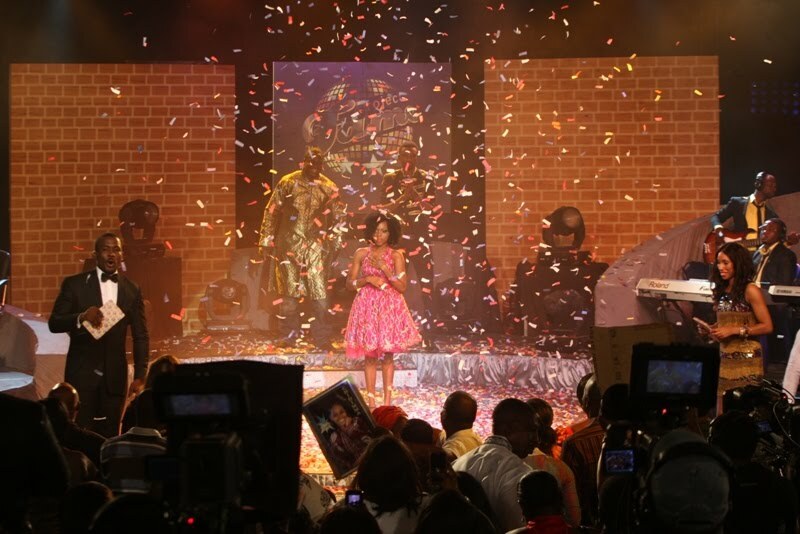 The third and fourth contestants were Yetunde and Chidinma and they performed Akingbolahan and Directions respectively. Tolu sang Arewa while Eyo closed up the performances by singing What’s Her Name? To lighten up the atmosphere before the hour of judgment arrived, Mo’ Hits recording artiste Dr. Sid came up and performed two of his numbers Something About You and Pop Champagne which got the audience all whipped up and dancing. The inevitable couldn’t be held off for long and as soon as the audience got back on their seats, judgment hour arrived. After 90 days of grooming in the Performance Academy, the final six stood up gallantly like the polished artistes they are now and waited for their fate. The first position to be called up was that of the third runner up and when the envelope was opened and the name revealed it was none other than Yetunde (omo Ibadan). She went home with a nice sum of N1m. Next position was that of second runner up which was the Akwa Ibom fine boy Eyo. He won himself N1m and a Toyota Yaris. Ghanaian wonder boy Kesse Frimpong who many had tipped to win the competition ended up being the second runner up and earning himself N1.5m and a Toyota Corolla. Despite coming second he was still visibly happy as he danced away with his cheque and car keys. With Ochuko, Tosin and Chidinma everyone held their breath as the winner was about to be announced. As Mike pulled up the card and Adora screamed “Chidinma!” members of the audience leapt for joy. As confetti fell on the stage, Chidinma looked visibly stunned; she didn’t believe it could happen to her. 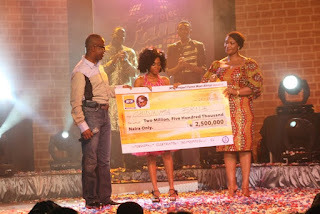 Chidinma, the contestant who at the final stretch off the competition improved drastically was joined by her parents on stage as she was presented a cheque of N2.5m and the keys to a brand new Toyota RAV4 jeep. As tears trickled down the eyes of her mother, the camera closed up on Tolu as his eyes began to moist; two extremes of life and one small stage-the tears of joy and the tears of defeat. 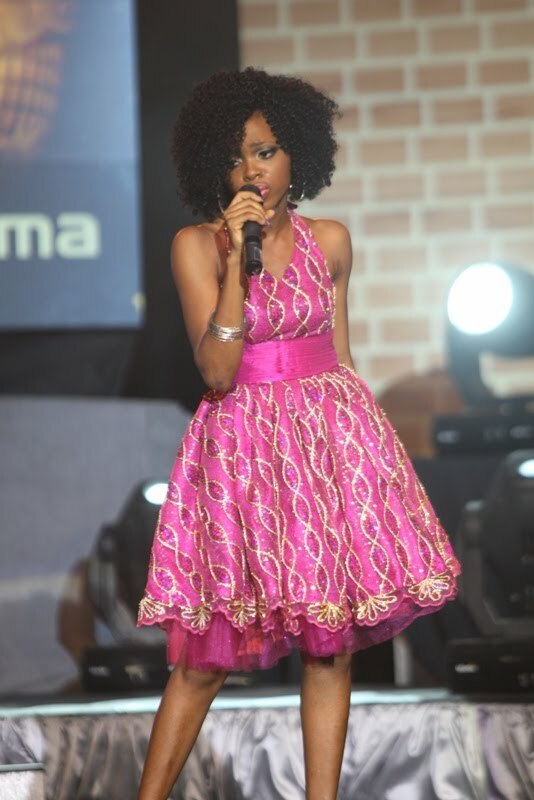 By winning this season’s MTN Project Fame Chidinma is entitled to recording contract as well. Her feat has made her the first female to win Africa’s most watched music talent competition joining the formerly exclusive league of male winners; Iyanya and Mike Anasodo. Iyanya Mbuk was the first winner of Project Fame in 2008. He has since gone on to release his successful debut album My Story. Mike Anyasodo was the winner of MTN Project Fame Season 2 in 2009 and his first single Fine Fine Lady is now a radio staple. Now its time for the limelight to shine on Chidinma as she leaves the Academy and steps into the music industry to show us what we she is truly made of but we already have an inkling about what she’s capable of. We had 90 days to see witness what she could do. I am so happy for Chidinma. Really, one cannot tell the potentials yet to be unleashed in that small package(Chidinma).I pray she goes far and that fame would not hinder her from education. Her consistence and her boldness will take her far with God as the captain of her boat. Also happy for Kesse. Wish them well. @ Anonymous 5.49pm...and u were there when she was sleeping with them...stop saying rubbish out of bitter. people voted her in,personally I think she sings great even though the entire show was whack & cheesy.